I've checked and there isn't a thread about this, so I thought I would create one. I hope this is OK. 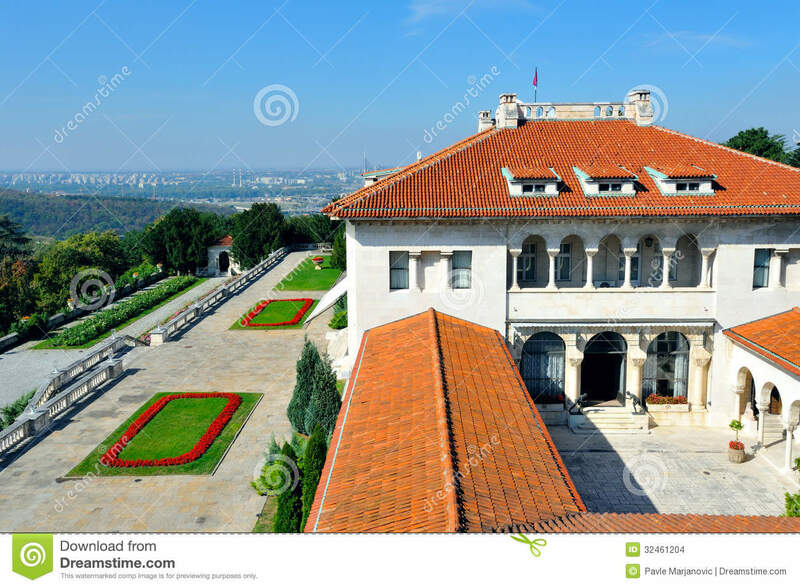 The other residences of the Serbian Royal Family are The Royal Palace and The White Palace. According to Wikipedia, another residence of the Serbian Royal Family is the Stari dvor. The Stari Konak, Mali Dvorac and Maršalat Dvora are previous Royal Palaces which were demolished. The interior of the Royal Palace is reminiscent of the interior of Middle Eastern houses/palaces (or at least the ones I have visited). Although I think I prefer the White Palace. The Royal Library of the White Palace once housed approximately 35,000 books. Wow! That is a ton of books! How sad, that so many of them likely disappeared during the war, when the compound was left to ruin. USCtrojan, You are absolutely correct: 35,000 books is a ton of books! How many of these books were a first edition? Also, how expensive would it be to duplicate each of these 35,000 books? Also, how expensive would it be to restore the room as it was at the time it was the Royal Library? I would love to see pictures of the modern palace in central Belgrade. I love the royal compound, but it would be interesting to see. Winter at The Royal Compound. Beautiful photos!! The Royal Compound looks gorgeous at winter, particularly the woodlands! Thank you for sharing the photos with us. The two main former palaces in central Belgrade are not open to the public. One is the residence of the president and the other houses Belgrade city offices. Since April 2015 Belgrade City Hall or "Stari Dvor"(meaning Old Palace) is open to the public and can be toured every Saturday. Since April 2015 Belgrade City Hall or "Stari Dvor"(meaning Old Palace) is open for the public every Saturday. Its a nice classical looking building and beautifully decorated inside ,the RF are lucky to have it at disposal.